The research, conducted by Chalmers University of Technology, Sweden in collaboration with researchers from the UK Medical Research Council and the University of Cambridge, found that the supplements could increase the growth of a known biomarker for cancer. For the full findings, keep reading. For their study, the team used normal supplement doses of the compounds and compared the effects of both to ferrous sulphate, another commonly available iron compound. They found that while ferrous sulphate had no effects on the cells, both ferric citrate and ferric EDTA caused an increase of amphiregulin – a known biomarker for cancer – even at low doses. “We can conclude that ferric citrate and ferric EDTA might be carcinogenic, as they both increase the formation of amphiregulin, a known cancer marker most often associated with long-term cancer with poor prognosis,” said Natalie Scheers, lead author of the study. These products are also available in South Africa. That being said, so many different types of iron supplements on the market – most of which include at least 20 different iron compounds – it can be difficult to know which ones to buy and which ones to avoid. 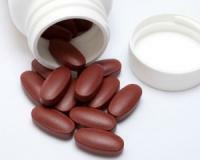 “Many stores and suppliers don't actually state what kind of iron compound is present – even in pharmacies. Usually it just says ‘iron’ or ‘iron mineral’, which is problematic for consumers,” explained Scheers. So what action should you now take? “First, we must bear in mind that the study was done on human cancer cells cultured in the laboratory, since it would be unethical to do it in humans. But, the possible mechanisms and effects observed still call for caution. They must be further investigated. At the moment, people should still follow recommended medical advice. As a researcher, I cannot recommend anything – that advice needs to come from the authorities. But speaking personally, if I needed an iron supplement, I would try to avoid ferric citrate,” Scheers suggested.